In organisations, human actions and structures are inseparable from processes and activities including in the development and implementation of the IT strategy. IT strategy is often intended to be driven by the organisational vision and strategy to achieve its goals periodically. IT has significant impact on an organisation's success or failure. It therefore does not operate in a vacuum. The issue is not just about information technology, rather, it is the strategic application of technology, including management, which is about people and the processes. The research applied Structuration Theory to examine the types of structures that exist during the development and implementation of IT strategy, and the structures that actually emerge as a result of human action in the computing environment of the organisation and through that, identify its impact. The primary aim of the research was to examine how cultural, policy and personal issues enable at the same time constrain activities in the computing environment during the development and implementation of IT strategy. IT strategy is intended to set out key directions and objectives for the use and management of information technologies in the organisation that deploys them. According to Luftman & Kempaiah (2008), technology advances continue to alter and shape the nature of organizations. IT strategy development planning includes the process of introducing the required disciplines, controls and new techniques, establishing good relationships and identifying tasks and responsibilities (Ward & Peppard, 2002). Through human action and within structure, the strategy allow all parts of the organisation to gain a shared understanding of priorities, goals and objectives for both current and future states as defined in the strategy. IT strategy is developed and implemented for particular purposes by particular users or groups. It is therefore expected that there will be conflicts with the goals of other users and groups, and that such conflicts will be the key to understanding many otherwise unexpected situations. This leads to the importance of non-technical context in the adoption of any technology in an organisation (Weiss & Anderson, 2002). From the development to implementation of IT strategy there exist joint effects of the actions of individuals and groups interacting within institutional structures (Jones & Karsten, 2008). It is therefore not surprising that the interaction between human and structure has a substantial degree of influence on the formulation and implementation of IT strategy. The impact of this influence could be negative or positive depending on how the interplay is exercised in the organisation. This impact forms the focal point of this study. 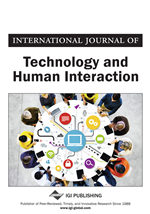 The interpretations and meanings by individuals and groups of users within an organisation have impact on the technology that they use (Weiss & Anderson, 2002). The stumbling, the compromises, the way non-technical interests get dressed up and disguised in IT strategy require analytical means to understand these issues. To explore this interplay between human and structure, impact of non-technical factors (human and structure) on IT strategy, a theoretical perspective, Structuration Theory (ST) was employed. From the perspective of ST, structures enable and constrain the daily actions and thought processes of people, but do not wholly determine the results. Individual choices are not independent of the structures within which people operate but they can move towards impacting (maintaining, reinforcing, changing or even destroying) the results. Regardless of the degree to which an employee may commit him or herself to the objectives of the organisation, personal interests are likely to be different from those of the employer, hence the interaction is important. According to Mosindi and Sice (2011), it helps to view organisations as complex social networks of interactions, where amongst employees is considered seriously. Employees seek to satisfy not only the organisational interests, but also their own wants and needs which are driven by self-interest. Mintzberg (2000) points out that people apply strategy in several different ways. Also, it is the management of the powerful resources (technology, capital, people, for example) and the environment they create that allow a difference to be made. According to Iyamu and Adelakun (2008), People’s willingness to accept or reject the IT strategy will therefore be highly influential in the outcome of the IT strategy. Structuration Theory holds that human actions are enabled and constrained by structures, but emphasises that these structures are the result of previous actions (Orlikowski, 1992). According to Jones and Karsten (2008), structures are not implacable or immutable; they are sustained by their ongoing reproduction by social actors, and that it is difficult for humans alone to determine exactly the way in which structures are produced and reproduced.